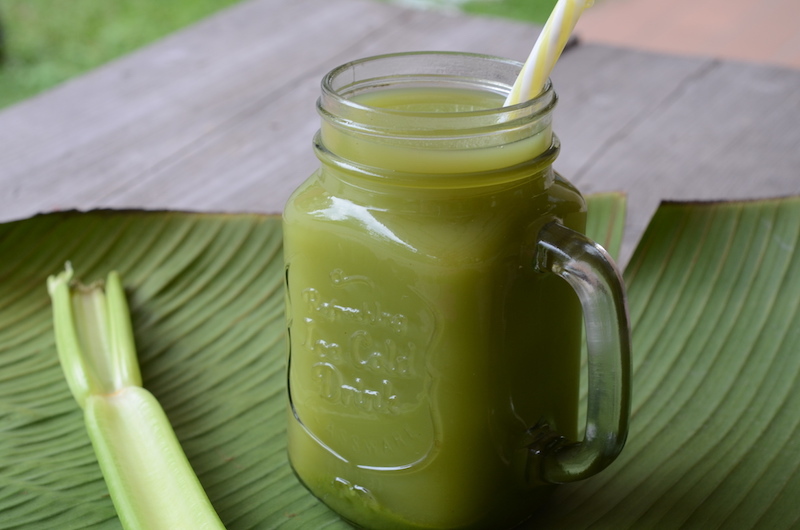 Making a mean green juice is one of the most delicious and refreshing, simple basic recipes. Have it as your go to in the morning. Trust me its powerful. Spice it up by adding chilies, herbs, or even herb ice cubes. Add more ginger or lemon to the taste that makes your mouth zing. Here is the simple recipe.. Bunch spinach pre washed or kale or leafy green of your choice. We like sweet potato leaves too. 2- 4 Stalks of celery. If you don’t like add 2 you will soon get used to it and build up to 4.